Minister of Immigration, Refugees and Citizenship Ahmed Hussen speaks in Ottawa on Monday, Feb. 4, 2019. Canada’s Immigration Minister is promising new, tougher legislation to crack down on unscrupulous immigration consultants by giving the industry watchdog that oversees them more power to investigate and punish offenders. The minister’s pledge comes after a Globe investigation that exposed how several international recruiters and immigration consultants – who sometimes fill both those roles – stand accused of exploiting some 2,600 foreign workers and students here and abroad. Ottawa had already promised to spend $51.9-million over five years to try to beef up oversight and enforcement of consultants who are licensed by an industry self-regulator. Mr. Hussen now says he wants that money to be spent on improving the watchdog. Mr. Hussen stopped short, however, of promising to end self-regulation, which is what a parliamentary committee recommended two years ago. The Globe investigation found licensed consultants who exploit and mislead foreign workers and students suffered few consequences, while hundreds of their recruits were left in dismal situations. The recruits had paid their agents tens of thousands of dollars, after being given false promises of a decent job or a spot in a career college, crucially with long-term work permits leading to permanent residency in Canada. They ended up underpaid and overworked in short-term jobs, unemployed or with useless career college degrees, all while facing or fearing deportation. 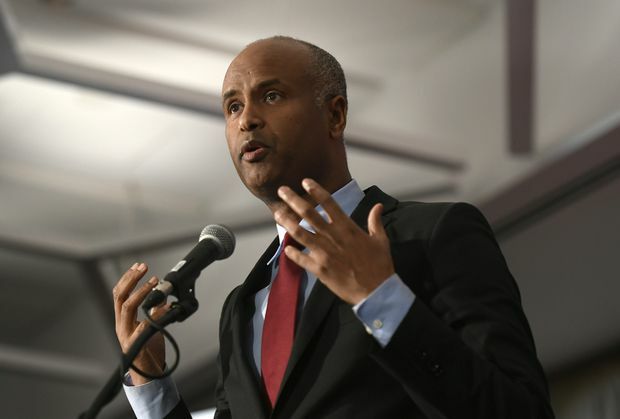 Several advocates representing migrants said the government should go further than Mr. Hussen says it will, by putting all recruiters, including licensed consultants, under federal supervision. Under that model, employers would then not be allowed to bring in foreign workers unless they used a government-registered and licensed agent. “There is still no national monitoring of [all] recruiters,” said Maria Sol Pajadura of Migrante Canada, which advocates for Filipino workers and students. Ontario, with the highest number of foreign workers and students, has no law specifically governing recruitment. Another parliamentary committee recommendation, from 2016, was to allow all foreign recruits to work for any employer, or anywhere in a particular sector, such as agriculture, for the length of their work permit. Currently, most low-wage temporary workers are restricted to one designated employer, which puts them at the mercy of their boss and their recruiter. Dozens of recruits told The Globe, because of that, it’s next to impossible to get a new work permit for another job without going back through an agent and paying more fees. The Immigration Minister rejected changing the permit system, however, saying the government can keep better track of foreign workers when they are only allowed to work at one place. “It makes the employer accountable. One of the ways we have strengthened that is to make sure there is more money for [workplace] inspections," Mr. Hussen said. The government did recently decide to allow open work permits, for caregivers only. Another parliamentary committee looking into human trafficking last year rejected the idea of the same for workers in the service sector and agriculture, saying it would be unfair to make employers compete to keep them, after incurring expenses to bring them here. Several migrants and their advocates told The Globe the government is overlooking a key reason migrant workers are put at risk in the first place. “We keep saying to the federal government, the moment the workers come with the name of a specific employer, you put them exactly in a vulnerable situation to be exploited,” said Loly Rico, director of the FCJ Refugee Centre, which helps migrants who’ve suffered exploitation in Ontario. Foreigners whose employers are under criminal investigation are sometimes given permits to work elsewhere, so they can remain in Canada as witnesses. But those permits are difficult to get and, in some cases The Globe looked at, exploited workers were deported when their special permits expired. Ottawa is expanding a pilot project from B.C., where workers who come forward themselves, with evidence of exploitation, can also get a new permit and find another job. The immigration department estimates 500 people a year “experiencing abuse” will apply nationwide, which effectively means those 500 people have to be abused, before being given other options. “You need to be exploited first before you get the new permit they are bringing in,” Ms. Rico said. The Immigration Consultants of Canada Regulatory Council, the body that oversees licensed consultants, said it believes the best way to curb exploitation is to educate migrants about their rights. Several lawyers and non-profit groups still expressed overall frustration with Ottawa for not making more substantial changes, despite hearing repeated evidence that exploitation is pervasive. “We are urging the federal government to adopt a holistic approach to victims,” said Santiago Escobar, national representative for the United Food and Commercial Workers union.